The America’s Cup is bringing its Endeavour program – which introduces students to sailing as a way to learn about science, technology, engineering, arts, and math [STEAM] – to Chicago beginning this summer when Chicago hosts the Louis Vuitton America’s Cup World Series race at Navy Pier. A gala in support of the program was hosted on Wednesday, April 27 at the John G. Shedd Aquarium. The AC Endeavour program, which provides students with the opportunity to get on the water and apply the technical concepts of sailing to parts of their school curriculum, has been operating in Bermuda, the host venue for the 2017 America’s Cup, since last year. To date, hundreds of students have had an opportunity to use sailing as a way to apply their STEAM education curriculum in a real world, sports setting. “What we’ve seen in Bermuda has been an incredible response to the AC Endeavour initiative,” said Russell Coutts, CEO of the America’s Cup Event Authority. 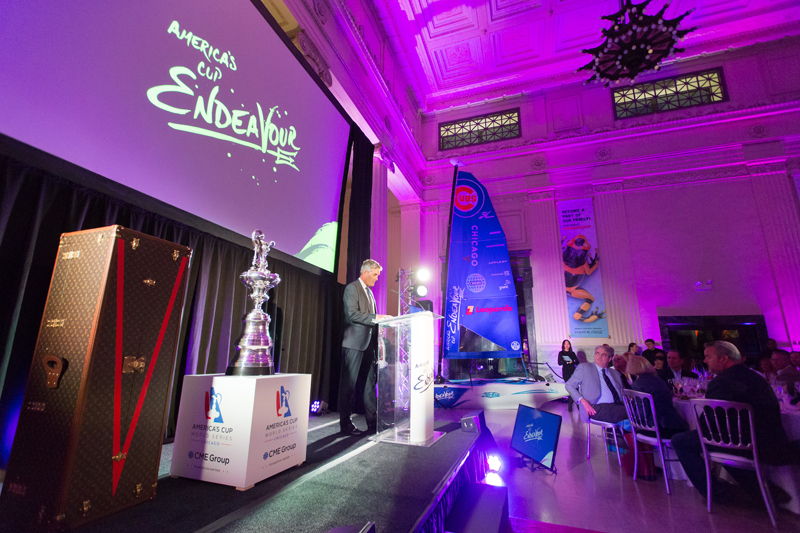 AC Endeavour is working with three local partners – the Chicago Park District, the Chicago Parks Foundation, and the Chicago Match Race Center – to bring the program to Chicago. Proceeds from the gala held at the Shedd will go towards funding this program in Chicago for years to come. As in Bermuda, the program will enable students in Chicago to apply their knowledge of STEAM education to sailing, and then put into practice what they have learned on the AC Endeavour boats. The boats, also known as Hobie Wave catamarans, will be donated to local youth sailing programs. Recognizing the rich sports heritage of Chicago, the sail of each catamaran will carry the logo of one of Chicago’s professional sports teams. 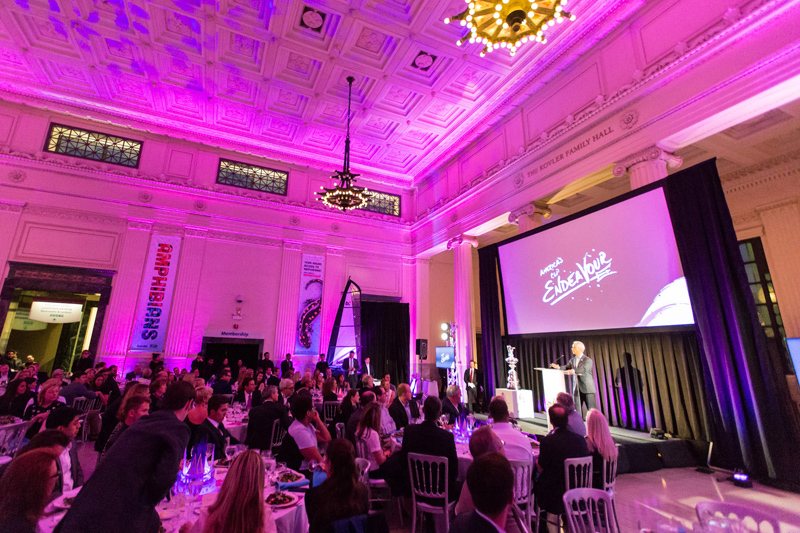 “We’ve had a tremendous amount of support from the community for the Louis Vuitton America’s Cup World Series this summer and we are excited to bring the AC Endeavour Program to Chicago to leave a true legacy behind,” said Tod Reynolds, Event Director of Louis Vuitton America’s Cup World Series Chicago race. The first Chicago AC Endeavour event, “Endeavour Day,” will take place on Thursday June 9, 2016. This will be an opportunity for families to get a taste of sailing at Navy Pier before the Louis Vuitton America’s Cup World Series Chicago race on June 10-12.